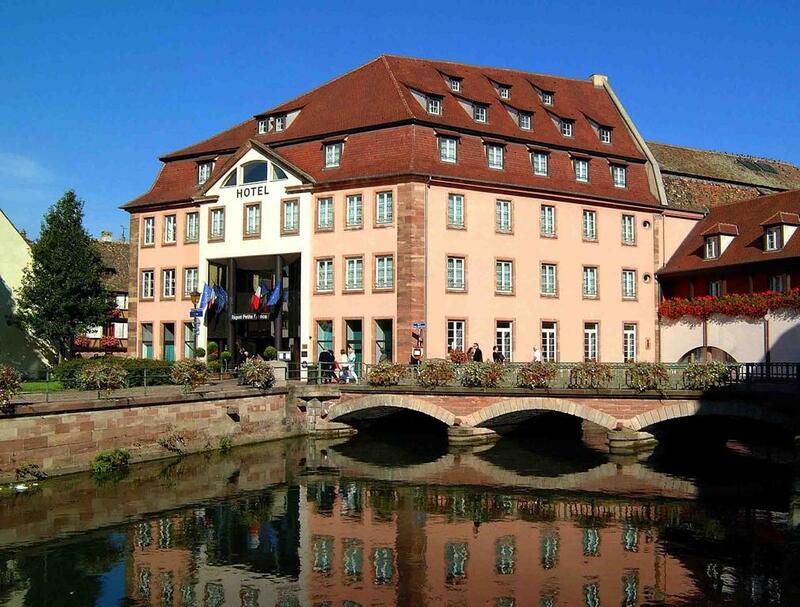 Strasbourg is a dynamic city which thrives on business and leisure. Set between the Vosges mountains and the Black Forest, the town claims a historic centre, granted world heritage status, and a large number of EU institutions, including Parliament premises. The city has its own Philharmonic Orchestra, opera and theatres and hosts world class cultural events, such as music festivals, from classical to jazz, and film festivals devoted to fantasy and new independent film makers. In a city poised to attract tourism and business, luxury hotels are the icing on the cake, a chance to relax at the end of the day and enjoy the traditional hospitality of Alsace. From mill to ice factory and luxury hotel, the 17th century Regent Petite France has been beautifully renovated at the heart of the old town, overlooking the river Ill. Guest list includes Catherine Deneuve, Sting, former President Chirac and many others. The 72 rooms boast an elegant modern design in a blend of white and bold colours. Suites and duplex have river views. Guests can relax on the first floor with sauna and patio. There’s an Alsatian style breakfast room and a Champagne Bar. The Pont Tournant restaurant serves seared monkfish, foie gras and other succulent dishes, on the waterside terrace in summer. In four hectares of greenery, on the Wine Road, the Chateau de l’Ile is located in the village of Ostwald, just 5km from the city centre, 20 minutes by tram, and 6km from the airport. The 19th century building blends surprisingly well with the surrounding half-timbered architecture typical of Alsace. The 62 rooms and suites come in five categories, mostly draped in rich colours, with river or village views. There are play areas for children, themed evenings, cookery classes and two restaurants, the rustic Brasserie and the gourmet L’Asszimmer, both offering a range of traditional dishes. Spa rituals include Thai massage and reflexology and chocolate wrap known as Alsatian delights. Indoor pool, jacuzzi, sauna and hammam complete the picture. 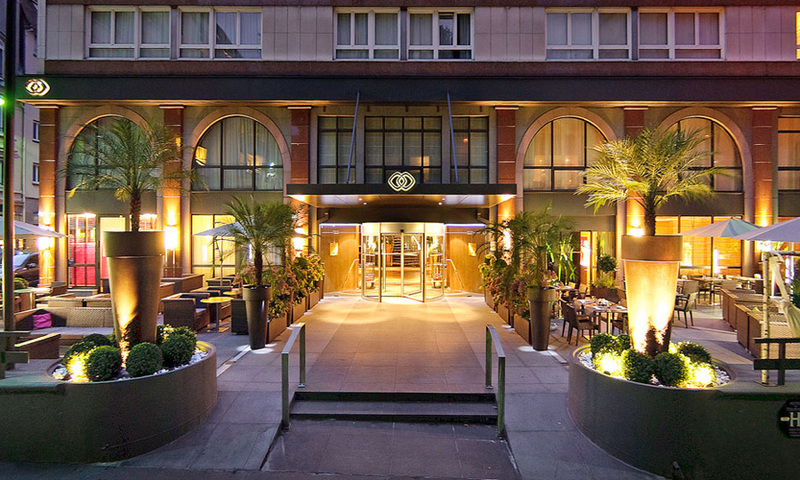 The Sofitel Strasbourg Grande Ile is close to the cathedral, museums and shops in the picturesque district of Petite France, just 15 minutes from the high speed rail station. Sofitel is a modern hotel, equally suitable for leisure and business with conference facilities offering plenty of natural light. The Goh restaurant serves creative French cuisine in a stylish contemporary decor. The 153 rooms range from Classic and Superior to Luxury, with tea and coffee making facilities, and suites. Prestige and Opera suites have a balcony with cathedral view. History lovers will enjoy the panel in every room, displaying excerpts from ‘The Oaths of Strasbourg’, a medieval document relating to the politics of the day.